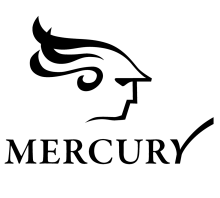 All courses with five (5) or more students are evaluated using MERCURY. The feedback you obtain from your students through MERCURY course evaluations is one input to an ongoing reflective process that you should engage in to improve your teaching and future offerings of courses. This page contains resources for instructors on optional mid-course and required end-of-course evaluations, including strategies to encourage student participation and guidelines to help you interpret your course evaluation results. You may add up to three (3) questions to your course evaluation questionnaire. Deadline for Winter 2019: March 12. Granting permission to make your course evaluation results available to students can motivate students to complete their evaluations. Learn more! Manuals are available to help you navigate your Mercury page. What happens if I notice that a student may have made a mistake while completing their evaluation, in that the comments do not support the numerical ratings? We are not able to delete course evaluation responses based on the inference of an error. The request to delete a course evaluation response must come directly from a student. Therefore, if you believe there may have been an error, please contact the mercury.info [at] mcgill.ca (Mercury System Administrator) with the course name, CRN, and the response ID of the potentially erroneous response (this can be found by downloading the Excel version of your results). Teaching and Learning Services will contact all students in the class, inviting them to fill out this form if they believe they may have made the error. If, based on the information provided by the student, we are able to identify the response, the response in its entirety (numerical responses and comments) can be deleted from the evaluation. Note that the student will not be able to resubmit the evaluation. What happens if a student leaves hateful or discriminatory comments on my course evaluation? Comments that are determined to be hateful or discriminatory on the basis of gender, sexual identity, race, ethnicity or religion call into question the individual's ability to fairly assess an instructor’s teaching. These comments are antithetical to the principles of equity and inclusivity. They are further unhelpful to an instructor in reviewing and improving their own teaching abilities and strategies, or to that instructor's unit head in supporting their pedagogical development. Any instructor who receives comments that they believe to meet the characteristics described above may contact angela.campbell [at] mcgill.ca (Angela Campbell) (Associate Provost (Equity & Academic Policies) (APEAP)) to disclose the matter, which shall be treated in confidence. The APEAP and the SSMU Equity Commissioner will assess the anonymized remarks to determine whether these merit deletion of the response. If this is found to be the case, the response in its entirety (numerical responses and comments) will be deleted. Can guest instructors in my course be evaluated in Mercury? The Senate Policy on End-of-Course Evaluations defines "course instructors" as "members of the academic staff responsible for a Course." Facilitating one or several class sessions is not considered responsibility for a course; therefore, guest instructors should not be evaluated as "course instructors" using Mercury. It is recommended that course instructors seek feedback about guest instructors as soon as possible after each guest instructor's session, so that the feedback is fresh in students' minds. In these cases, course instructors can use tools such as Polling @ McGill, Surveys in myCourses, or Forms in Office 365 to collect anonymous feedback about the guest instructors. Course instructors can request a one-on-one consultation to learn more about the effective use of these tools. Course instructors are able to add up to 3 questions to their Mercury course evaluation questionnaire. For courses with multiple guest instructors, course instructors may wish to add a question that addresses the impact of guest instructors on students' learning, such as: "Overall, the class format with multiple guest instructors helped me learn the course materials." Click here to submit additional questions before each semester's deadline. My course has fewer than 5 students enrolled. Can this course still be evaluated using Mercury? The Mercury system cannot be used for courses where fewer than 5 students are enrolled. The Senate Policy on End-of-Course Evaluations states that “7.1: All course evaluation results shall be anonymous.” When so few students are enrolled in a course, it is difficult to respect their anonymity. Also, with so few responses, the statistical analyses performed automatically are not appropriate. However, instructors are still encouraged to get feedback from students using alternative survey tools, such as Surveys in myCourses, Forms in Office 365, or Polling @ McGill. Instructors should make sure to ensure that the data collection tools are set for anonymous submissions. Note that an important aspect of the Mercury system is that responses officially on record in the system can be accessed by academic unit heads, as well as the course instructors. Responses collected with alternative tools are unofficial, are not systematically reported, and are only available to course instructors. Instructors can request a one-on-one consultation to learn more about how to use alternative survey tools. How is MERCURY different from RateMyProf and other third-party evaluation platforms? MERCURY is a comprehensive and validated system for providing instructors with constructive course feedback based on students' learning experiences. The University's official end-of-course evaluations are governed by an official Senate policy and administered by Teaching and Learning Services. Why do students use third-party evaluation platforms? Platforms such as RateMyProf are, in part, a response to student frustration that many MERCURY course evaluation results are not available to McGill students. There are two reasons why MERCURY numerical results may not be posted on Minerva: first, when not enough students respond; and second, when an instructor has objected to sharing their numerical results. One of the attractions of third-party evaluation platforms such as RateMyProf is the comments. However, anyone can post on these platforms whether they took the course or not, making these comments unreliable. How can I encourage students to use MERCURY rather than third-party tools? Increased access to numerical results improves student trust in our official system and decreases the desire to collect reviews by alternate, unregulated means. You can help by encouraging students to complete their course evaluations and by opting in to making your numerical course evaluation results available to students. As students will report and seek out this information either way, by opting in, you are ensuring that the information they find is from an official source. Can I share my course evaluation results publicly? Course evaluation results, both numerical ratings and comments, belong to the course instructor. Therefore, you can share your results as you please, such as on your website, in publications, or at conferences. If your course is co-taught, students’ feedback about the course belongs to all course instructors teaching that course. As a professional courtesy, you should check with your co-instructor(s) before sharing results from co-taught courses. Use the link below to access your results, monitor response rates, and grant or deny permission to make your numerical results available.